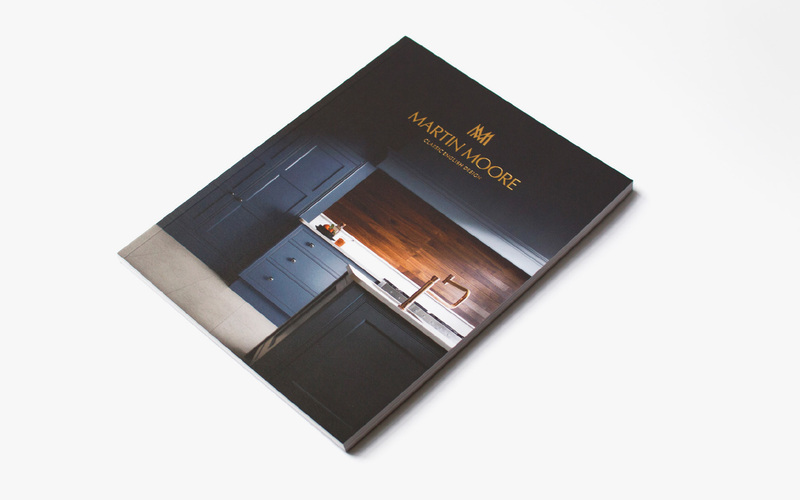 Established over 40 years ago, Martin Moore is one of the original English companies dedicated to producing hand-crafted timber kitchens. As peoples’ attitudes towards luxury continue to evolve, their previous identity was risking falling out of line with the aesthetics of today’s consumers, and their own kitchens. In 1975, the kitchen market was dominated by modern German and Italian styles. Martin Moore, a design engineer, and his wife Barbara had just returned to England from their extensive travels around the world. Having bought an old Victorian house in need of much renovation Martin set to work designing and making furniture that was perfect for their house, and family life. What had started as a passion for furniture turned into a thriving business. Over 40 later, there is still a demand for a combination of heritage and English elegance, but a new generation could see an opportunity for kitchens with a more contemporary edge. Having joined their parents at the helm, Richard and Michael Moore were keen to build upon their parents’ success. Their vision was to broaden their range to appeal to a new contemporary audience, while still using the same ethos, cabinetry expertise and sense of form. 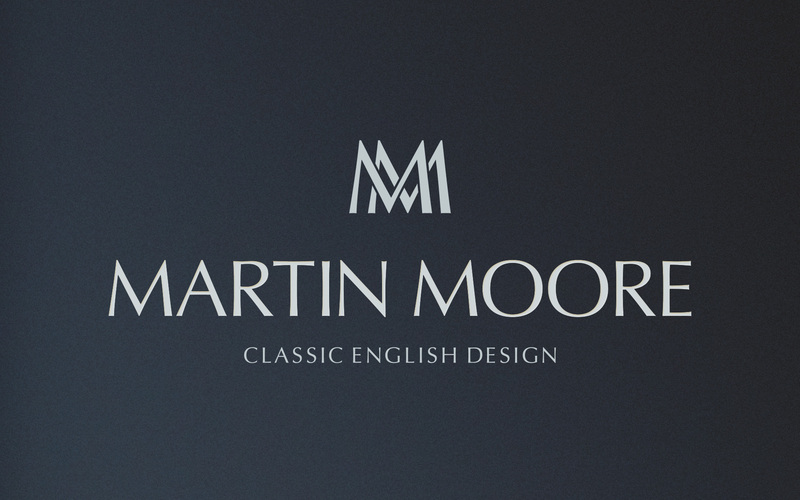 Our challenge was to refresh Martin Moore’s brand identity, and give them a sharper image but not let it conflict with their past. 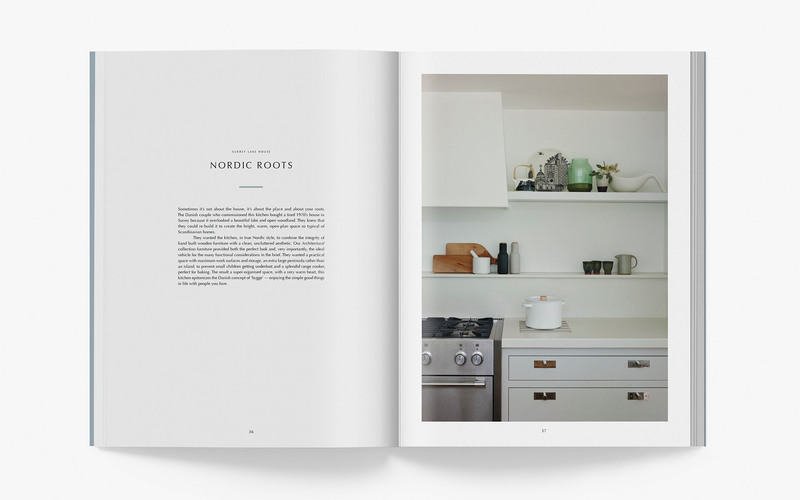 We underwent a huge audit of the imagery of their kitchens. It was clear that the kitchens were designed with an underlying balance and integrity, and while many of their newer kitchens continued in this tradition, they were more experimental and adventurous in their use of materials, such as using marble in surprising new ways, along with metallic and veneered timbers. In discussion with the client, we concluded that the ‘& Company’ component needed to be removed from their name (and logotype), as it made the company seem too traditional. 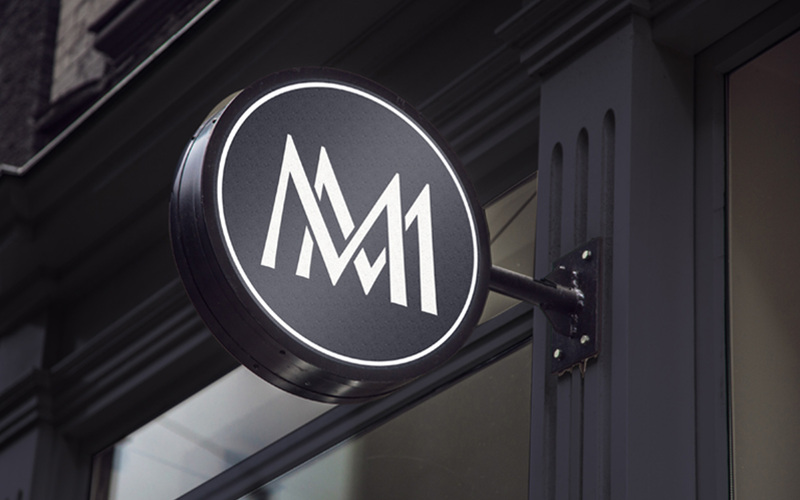 We created a sharp, new double-M monogram and legend. The typeface we selected was inspired by classical Roman capitals and Renaissance stone carving; though it is classified as a sans serif, the font has a subtle swelling at the terminals, suggesting a glyphic serif. 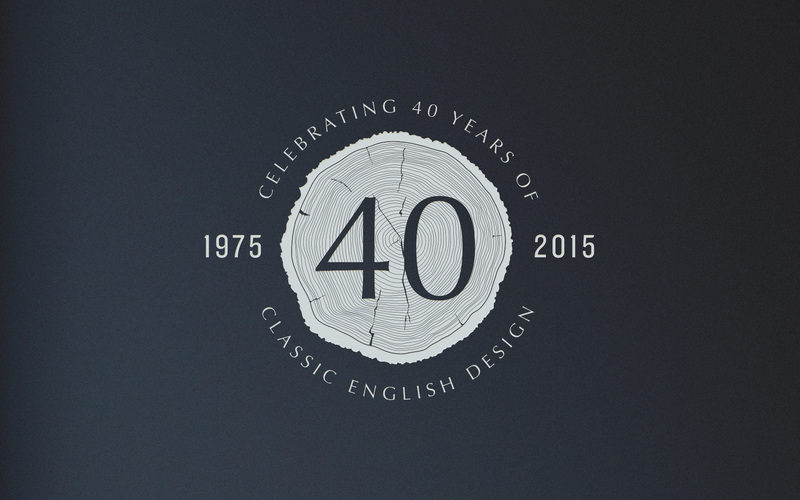 This gave the new identity a classical look with a modern edge, perfect for cutting from metal or foil blocking. 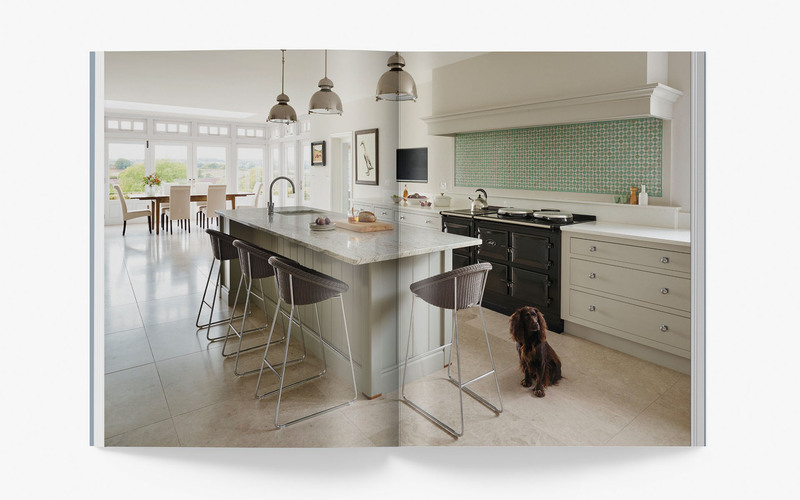 A new image-led website was designed, along with a new brochure that told the stories behind the kitchens.